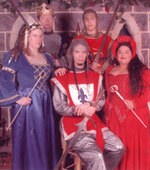 The DDK is a Virtual Role Playing Game Club (on Yahoo!) With the help of the member's The DDK has grown into large community on and off Yahoo. The DDK is one of the oldest RPG on Yahoo and was the first to gain it's own category. 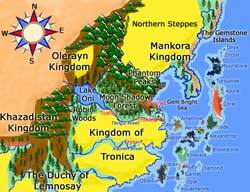 Maps created by our member "Ed/Sel"
Our Adventure begins on our fantasy planet of Econia in the Kingdom of Tronicia. Tronicia has many areas to explore and you decided the adventure! May Goddess Oni watch over you as you enter our land. This Baby Dragon needs a new home!! The first baby dragon since 2000 is now available for adoption! This baby dragon is part of the 'teddy bear collection'. Find out how you can adopt your very own DDK baby dragon. That could end the worst of days with a smile. Without a doubt its the best- by a mile. Those who have say their wishes come true!